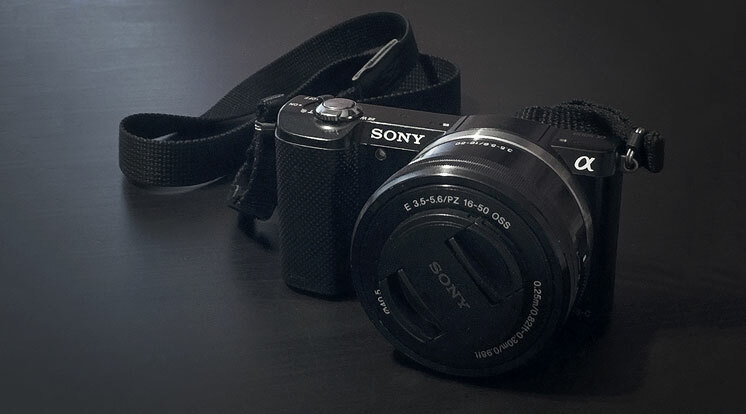 The Sony a5000 was the first mirrorless body that I got on sale about two years ago. This will be a short review explaining my experiences with this entry-level mirrorless camera after two years using it for landscape photography. It is still on the market as of this writing (November 2016). Sony a5000 with 16-50mm 3.5-5.6/PZ OSS Lens in White. The Sony a5000 lacks some of the standard features of some of the mid-to-high end cameras (like an electronic viewfinder), but with a 20.1-megapixel APS-C sensor, it produces images that are easily good enough for the majority of landscape photographers. I was lured into buying one as I am principally a landscape photographer that doesn’t need a lot of the “high-end” features. As I switching from a 5-year old crop-sensor dSLR, even this “budget” grade mirrorless camera would provide an improvement in raw image quality. For it’s price, the quality of the images produced by its APS-C sensor are pretty impressive. With the Sony a5000, I have been able to regularly produce fine art quality photos, some of which I have printed 20×30 with acceptable results. I shoot almost exclusively in RAW, and have been very impressed with its dynamic range. I often bracket for exposure, with the intent to hand-blend exposures together in the case of blown highlights or dark shadows, but the vast majority of photos come out great with just one exposure. I also enjoyed the tiny size of the a5000. The body weighs in at a mere 9.5 oz, so it’s basically the size of a point and shoot camera. As I do a lot of hiking and backpacking, I really enjoyed the weight savings. My two main lenses, the Rokinon 12mm prime and the Sony 16-70mm zoom, are both designed specifically for small mirrorless cameras, and fit the size of this camera very well. Double rainbow at Grand Canyon National Park captured spectacularly by the Sony a5000. Operating the Sony a5000 requires using its on screen menu system. Although I was able to get used to it for the most part, the menu system is rather convoluted. The one saving grace for me was the fact that my shooting style doesn’t require me to delve into the menu and that often. However, If I needed to change multiple settings back to back, it would get tedious and sometimes frustrating. For instance, if I needed to change from auto focus to manual focus followed immediately by turning off image stabilization, I would have to surf through pages and pages of menu options. In fact, some items I didn’t even know existed for months and months because of the poorly designed menu. Another point of frustration is the fact that it performs automatic dark-frame noise reduction for all exposures over 1 second in length. Unfortunately, this feature cannot be shut off either. As a landscape photographer that frequently does exposures longer than 1 second, this is very irritating. For every second of exposure, the camera sits idle for another second after the exposure finishes, performing its noise reduction, taking up valuable time. I do my own custom noise reduction in my post-processing, so I do not need noise reduction in the field anyway. It also makes for the potential for missing the “decisive moment”, especially when taking photos of lightning. My Sony a5000 came in a kit a with a 16-50mm “pancake” style kit lens. It’s a tiny lens, weighing a little over 4 ounces. Considering its size, the lens takes decent photos, but I never found it sharp enough for my needs, and looked to better quality lenses. The menu system on the Sony a5000 is not very easy to use. While the Sony a5000 does have a nice price for a 20.1 mega-pixel APS-C sensor camera, I would advise against buying one. For a landscape photographer like myself, it has some blemishes that can be incredibly frustrating. For any photographer, regardless of style, the menu system is really a pain to navigate when changing settings quickly. Buyers looking solely at Sony mirrorless offerings are much better served spending a bit more money on the Sony a6000, which is similar in size but upgraded in almost every category of feature. Those looking at mirrorless cameras in general should definitely look at the offerings from Olympus, Fujifilm, and Panasonic as well. Definitely check out my article Best Mirrorless Cameras for Landscape Photography for more great suggestions.